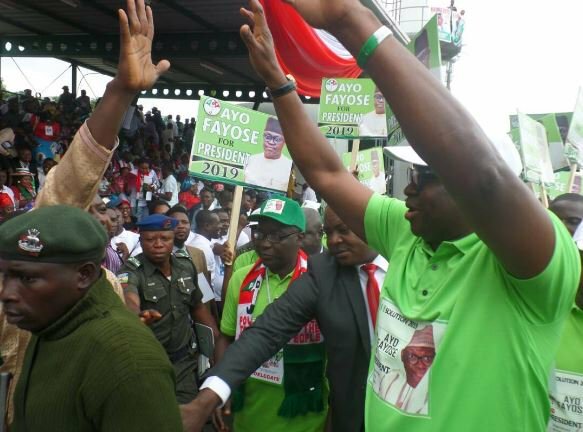 NairaNaijaNews.com reports that Fayose stole the show few weeks ago when he stormed the PDP non-elective convention in Abuja with his campaign posters. Makarfi, a former governor of Kaduna State said the party wont expel Sheriff except he wants to leave on his own. He added, “It is not up to us for him to remain here. It is his choice. Many people, who are his supporters, were at the convention. They participated in various committees at the convention. Individuals will make their personal decision.